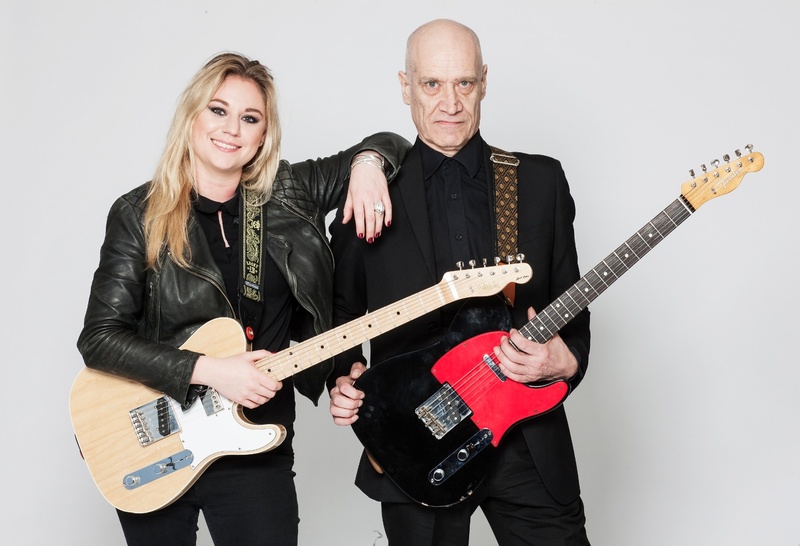 R&B legend Wilko Johnson has announced his first UK headline shows since his sensational appearance with Roger Daltrey at Shepherds Bush Empire last year. Blues singer-songwriter & guitarist Joanne Shaw Taylor joins him as special guest on these six unique shows, taking place throughout April 2016. Tickets are available at www.thegigcartel.com / 0844 478 0898. These unique must see shows unite two awesome talents who individually sell out every venue they play. Wilko has had a four-decade career, cutting his teeth in the pub rock scene in the raucous rhythm & blues outfit Dr Feelgood. During his time with the band he scored a number one album with live album Stupidity before moving to the next phase of his career, which included acclaimed solo releases and a stint with Ian Dury and the Blockheads. He returned to the stage earlier this year following life-saving cancer surgery in 2014. Known for his incredible distinctive chopping guitar style, Wilko has gone on to find further success recently after teaming up with Roger Daltrey on 2014’s Going Back Home. An album of the year it featured reworkings of songs from Wilko’s Dr Feelgood days such as ‘All Through The City’ and ‘Going Back Home’. Wilko recorded the album at a time when he was expecting to die from cancer. He was diagnosed in 2012 and given just months to live, heading out on a farewell tour after opting not to undergo chemotherapy. But a reassessment by medics led to major pioneering surgery which left him cancer-free and with a new zest for life. In-demand blues artist Joanne Shaw Taylor, who joins Wilko as special guest on the tour, has played dozens of shows in her own right this year showcasing tracks from her critically acclaimed fourth album, 2014’s The Dirty Truth, as well as songs from her previous releases White Sugar and Almost Always Never. Hailed by The Sunday Times for her “Killer licks, soaring solos and heart-wrenching vocals”, the ferociously gifted star developed her craft from an early age, playing her first electric guitar at 13, and performing at Ronnie Scott’s in London by the following year. Her prodigious talent saw her drafted into Dave Stewart’s band DUP shortly after she left school. She went on to develop as a singer-songwriter in her own right, releasing her debut in 2009.White Sugar took the ‘Best New Artist Debut’ title at the British Blues Awards, and she landed consecutive wins for ‘Best British Female Vocalist’ at the event in both 2010 and 2011. For more information please visit www.thegigcartel.com / 0844 478 0898. Tickets cost £25 for all shows except London where tickets are £25/£30.